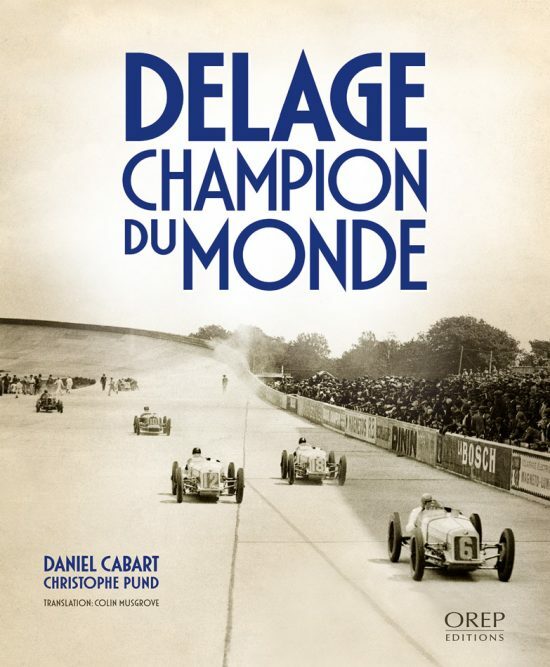 (French, English side by side) Published on the occasion of the 90th anniversary of one of the most successful Grand Prix cars of all time winning the GP World Championship, this book discusses the history and accomplishments of the six examples of the 15-S-8 model built. Incidentally, five of the six (#4 was MIA) were on display at Retromobile this year, a quite spectacular sight and in no small measure due to coauthor Pund who owns chassis no. 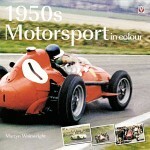 3 (21641, the car this book firmly establishes as Robert Benoist’s main drive). Neither Pund nor Cabart (who has restored several Delages) need any introduction to marque enthusiasts. 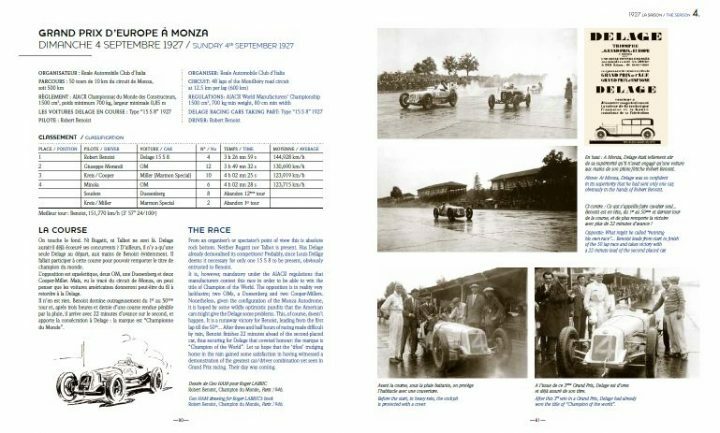 Their newest book fills an important gap, one that existed pretty much since the 1960s when the sainted Cyril Posthumus discussed the 15-S-8 in his booklet for Leatherhead Profile Publications, The 1926–27 1½-Litre Delage—on all of 12 pages (still surprisingly easy to find, and cheap!) that barely satisfied curiosity and certainly didn’t advance the body of knowledge meaningfully. The fact that this book is bilingual obviously makes it accessible to a wider audience but it also means that really only half of its 240 pages can be devoted to contents. 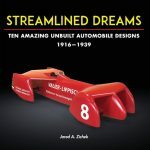 Especially on the photographic front the book adds much to the record, including detail shots of components of particular interest to modelers (there’s also a handful of technical drawings but no overall, blueprint-type dimensioned view of the car/s). 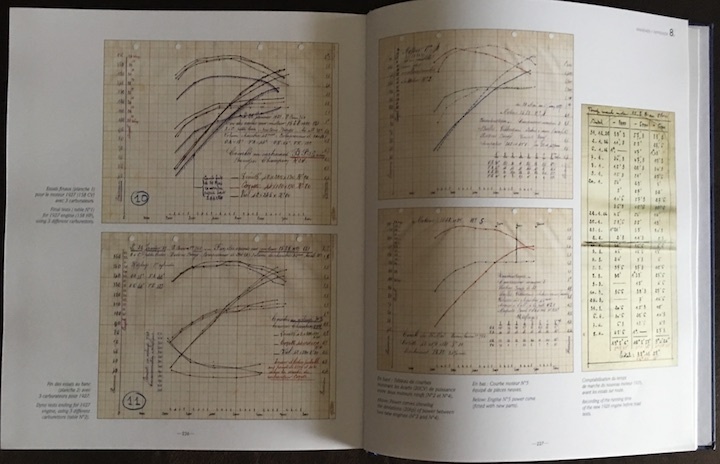 Of enormous interest to historians will be the reproduction of many pages of designer Albert Lory’s handwritten notes and graphs. 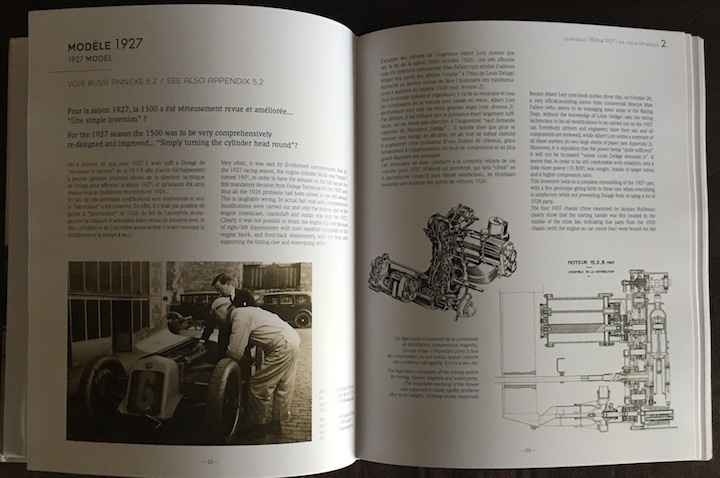 While the book, on one hand, has a tone and level of detail that make it accessible to anyone with a general interest in GP cars it is, on the other, a bit too breezy when it comes to specs, hard data, or the nano detail of, say, construction and technology parameters. This is not helped by the fact that the English text, apparently by design, does not exactly match the French. In other words, if you read French you may well pick up useful bits especially in regards to technical items. 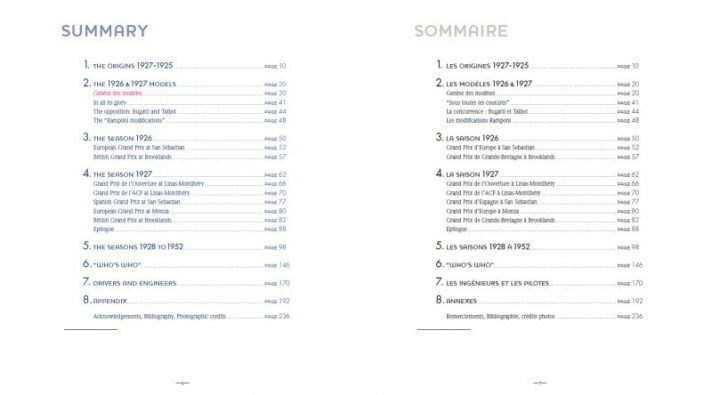 Also, certain features of the book, such as the Preface (by Patrick Delâge, the founder’s grandson) or the Acknowledgements are not translated at all. The translation itself calls for a few words. Colin Musgrove, a Brit with a self-described “professional working proficiency” of French, sometimes seems to be unable to free his prose from French syntax or word choice. The latter is odd since Musgrove is a racing historian and, in fact, ran Colin Musgrove Racing, a Morgan specialist, and should have a firm grasp of auto- and racing-specific jargon. His rendition of, for instance, the recurring abbreviation “2 LCV” yields “2 Litres Course in V”—which really answers nothing. 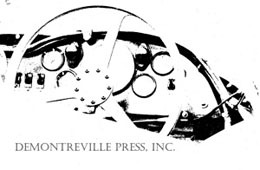 (The French version skips this entirely and simply calls it “the famous 2 LCV.”) Also, most of the few typesetting glitches occur only in the English version, ranging from the inconsequential straight-up typo (dupe words, misspellings) to the rather more confusing such as (p. 8) referring to the car as “the 1500 litre Delage” when, clearly 1500 cc is meant. 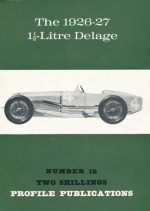 And, again, the French version is no help because it simply calls it “the Delage 1500” without any unit of measure. What makes this example particularly disconcerting is that it is a straight quote from a 1966 book by Laurence Pomeroy—who had written in English in the first place. A similar irritant is the more global problem (because it is used in several photo credits and elsewhere) of misspelling the good name of a countryman of Musgrove’s who has absolutely universal name recognition, Karl Ludvigsen (not Carl). None of this is of great import except to establish that the book does require attentive reading! Our intel says the book just barely made its production deadline which may explain this lack of precision. 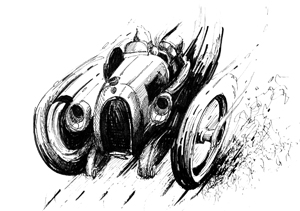 Musgrove, incidentally, has made it known that he feels the stirrings of writing his own Delage book. 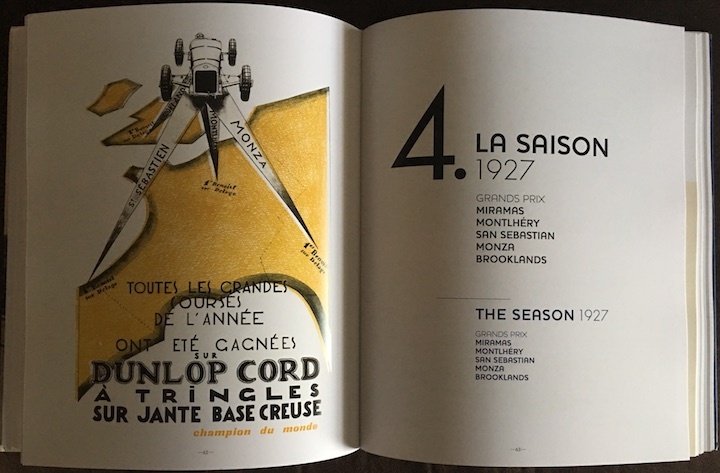 The core of the book are the two racing seasons 1926 and ’27, bookended by a discussion of the marque’s history 1923–25 and a summary of the 1928–52 years. 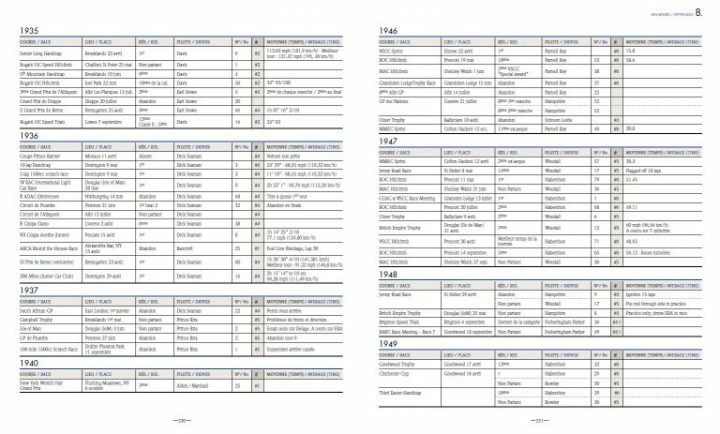 Key competitors such as Bugatti and Talbot are referenced and mini bios of drivers and engineers are presented. Coverage of the competition and ownership history of the four team cars and the “’Chula/Lory” versions offer new data to many. 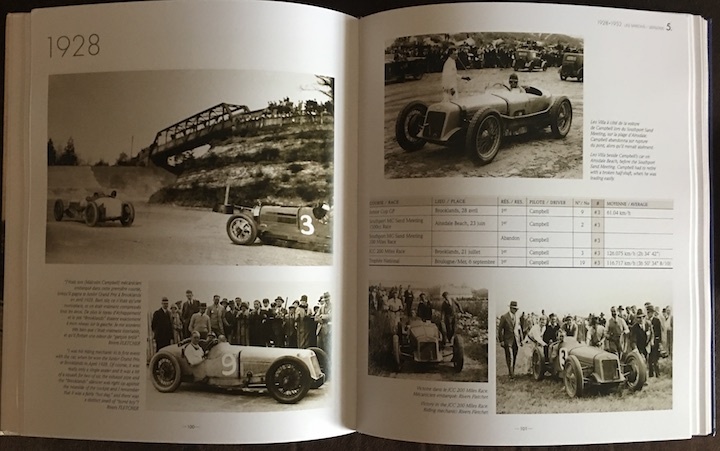 All the racing coverage is quite detailed (chassis, drivers, venues, results; all that and more data is also appended in tabular form) and augmented by a fabulous and uncommonly well-suited selection of period photos and the occasional race poster, map, or magazine cover. Each of the six chassis is presented individually. There is however—all too common in European books—no Index. The book is smartly designed and printed on substantial paper, making it a pleasure to pick up often. If there is a fly in the ointment it is that is not readily available in the US (order from the author or the publisher; in the UK from Hortons). Considering that the book is really rather low-key about singing the praises of the 15-S-8 one must conclude that the authors assume their core audience is already familiar with its merits. Outside the enthusiast community the model has been quite forgotten and if the book offered the newbie a bit more to chew on it could only have helped the cause of giving the model its due. At any rate, it is an essential addition to the library and covers new ground. Won the Royal Automobile Club’s “2017 Specialist Motoring Book of the Year” prize. Well, mea culpa regarding some of the ‘low-key’ since I occasionally downplayed some of Daniel’s Gallic exuberance in my translation! Your intel is correct regarding deadlines…the extended time limit was literally met by hours so a final proof-read by someone other than the authors (who tend to overlook their own mistakes) was not, unfortunately, possible. The misspelling of Ludvigsen’s first name is a howler of the first order…inexplicable. Otherwise, in the main, fair comment…thanks. You have referred only briefly to Colin Musgrove’s background as a Morgan racing team owner. I believe that he should be regarded as the most successful Morgan four-wheel racer in history, a record of 14 starts, poles, fastest laps and wins in one season should speak for itself. When I first met him in 1964 when we were both 21 he owned a Delage and a Rolls-Royce 20/25 in addition to his first Morgan.